Hello, Ribbon Lovers! Mother's Day is just one week away. Are you ready? If you're still searching for an idea for Mom, then today's card might come in handy. 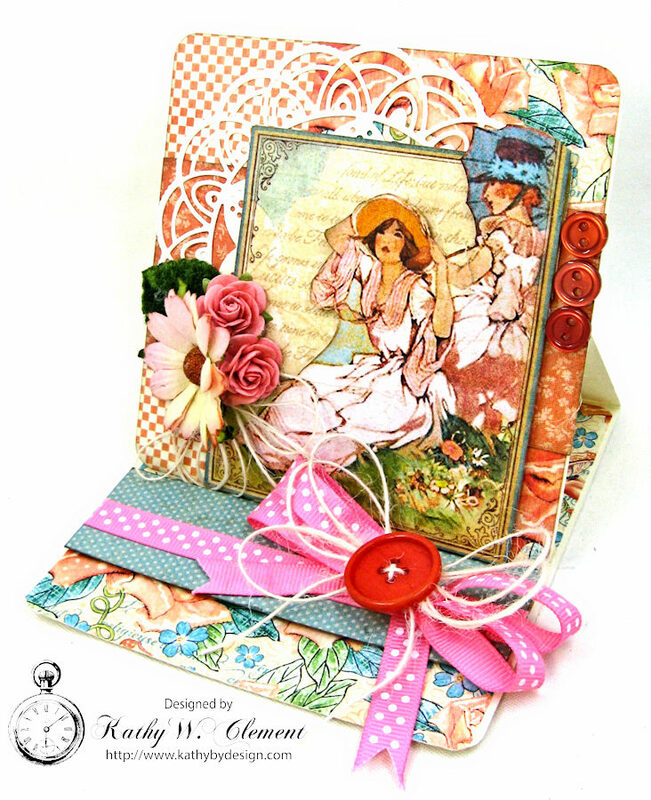 This is a simple little 4.25" square easel card made with Graphic 45 Cafe Parisian and A Place in Time. The background patterns are Cafe Parisian; the image from the June page in Place in Time. I did a little fussy cutting and layering of the image to add depth and dimension to the card. I made the stopper by wrapping a panel of paper with Wild Rose Swiss Dot Grograin Ribbon. Then I got out my trusty Zutter Bow-it-All Tool and tied a double loop bow. This was glued over the ribbon strip and topped with an Ivory Butlap String Bow and button from my stash. A second string bow cluster sits to the side of the card. I topped this with gorgeous WOC Chrysanthemums and a pair of Coral WOC Open Roses. I love the way the flowers pull all the colors in the card together. 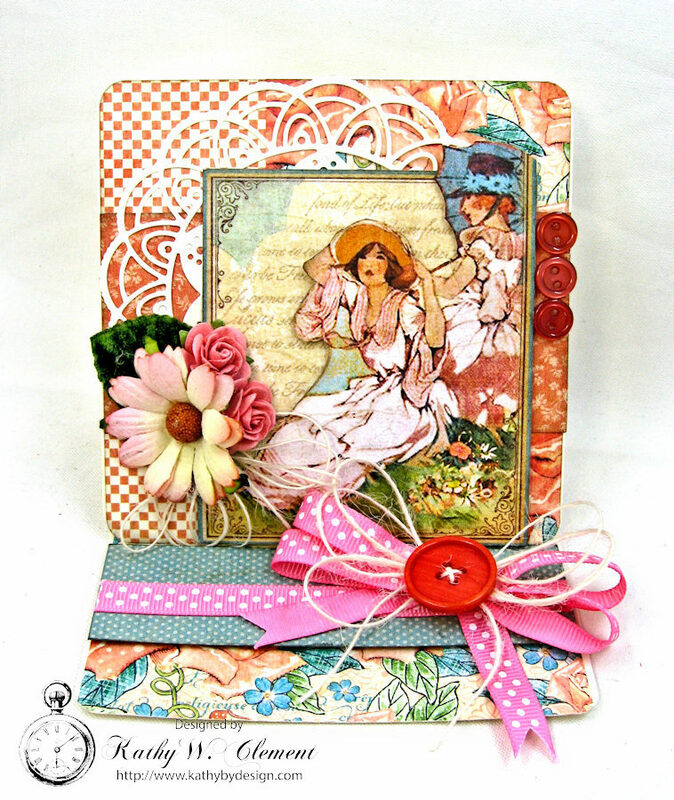 It really only takes an hour or so to make mom a lovely handmade card that she will cherish for years to come. Really Reasonable Ribbon has everything you need to add the perfect finishing touches.